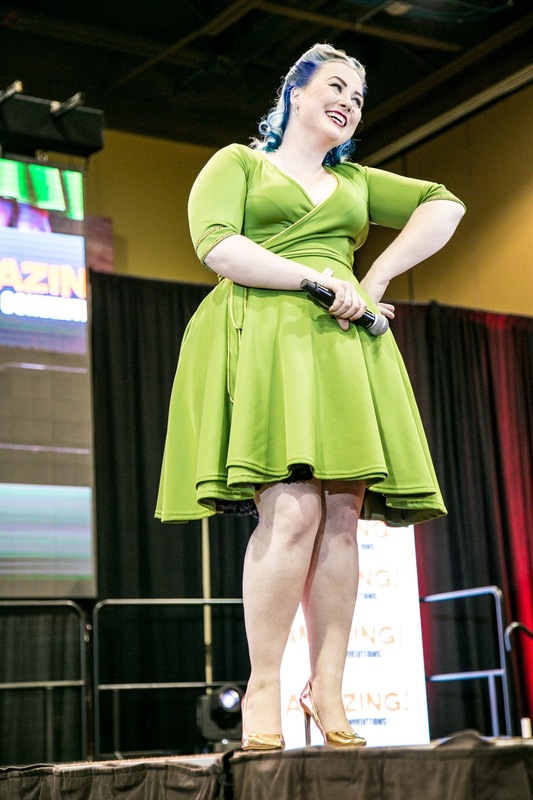 Today, it is my pleasure to interview designer and fangirl, Catherine! I met through Star Wars Twitter community and also through the her high end fashion pieces through other Fangirls like Amy Radcliffe. 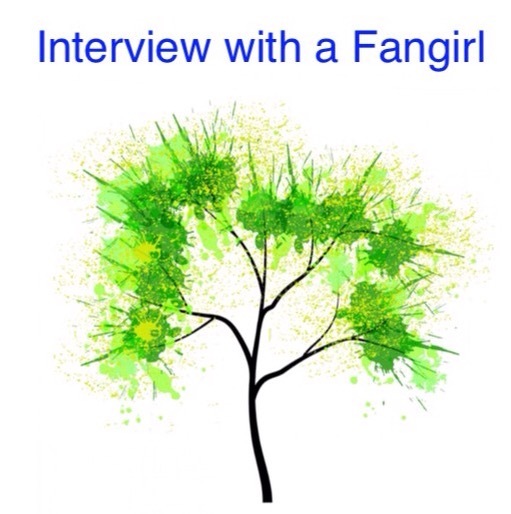 Welcome Catherine to The Adventures of The Everyday Fangirl and thank you for taking the time out of your busy schedule to answer these questions! I remember being obsessed with X-Men when I was probably 6 or 7. I watched the cartoon, and I loved Rogue and wanted to be her so bad. But I think it was Cardcaptor Sakura when I was 13 when my fangirl really kicked in. I should say, it was Card Captors that hooked me, but then I went online to find out more about the show and discovered that it was originally from Japan, and was even bigger than the English Dubbed version with longer episodes, relationships, stories, and more that all got cut and edited for the American audience. I found a girl online who traded me the entire series on VHS for some of my beanie babies. While I waited for them in the mail, I dove into fanfic, fanart, printing every CLAMP art piece on my dot matrix printer, and tracing and redrawing them in every notebook. That was the start of my fangirl life. Social media is amazing and terrible, as we all know. It’s been so fantastic to reach potential customers, fellow fans, lost friends, and new things. I’ve been able to really grow my business through Instagram, which is just completely mind blowing. I also get to see what people really respond to, so I can delve deeper into that style or piece. I posted some pieces inspired by Rey from Force Awakens, and they blew up! So I started doing more Rey inspired fashion, because there’s just nothing for her and fans are hungry for anything they can wear to channel her. So I’ve been able to use social media to really harness that awareness. But it’s also a huge distraction, I can dive head first into Tumblr or Instagram and be lost for hours. I try to limit the time I spend on social media, as I need to actually sew and get things done in order to have more to post about. And I get so many messages all the time, so it’s overwhelming at time to handle it all. But it’s so worth it! Oh, god, I learned so much from the different fandoms I’ve been involved with. From Star Wars I learned video and photo editing, as I loved thinking I could submit to TheForce.Net’s video contest and trying out film techniques back when I was a teenager. I wrote a lot of Pokemon fanfiction back in the day, and I had a few beta writers who helped me understand grammar and vocabulary (I remember I didn’t know that Course and Coarse had different meanings. It took a reviewer comment to help me understand that), which was a huge boost in high school because when we had to write things in English class I felt like I had a better understanding of the English language. I still wrote some garbage essays, but at least I had confidence! I developed my art skills because of Deviant Art and Livejournal. I joined with one of those 50 art pieces with 50 prompts contests while in college, and while I never completed it, I did a dozen pieces and felt really great with the sketches. I played in digital media and with new programs like Art Rage. It helped me learn more about my art. And my sewing was developed from RenFaire, so the history fan community. Anything. Everything. When I like a fandom I fangirl instantly. So some of my favorite things: Harry Potter (obsessed. I have a tattoo on my arm, I ship so many different people, I have billions of theories and can talk for days about them, I’m completely obsessed), The West Wing (while not super geeky, this is one of the shows I’m still incredibly in love with and still read fanfiction around it), Firefly (I drew so many sketches around the characters. I want so badly for more episodes or movies), Buffy (duh. Spuffy for life), Star Trek (There’s not much fanfic for it, but I love the idea of Picard/Janeway. I want them to be happy…), Marvel Universe, Legend of Zelda, Sandman… I mean, there are so many fandoms that I just 100% fangirl over. Oh, Sabriel! The Old Kingdom trilogy by Garth Nix. When I find out someone else is into this book series, I lose my MIND and start immediately talking about the Charter and the Abhorsen and how I want Mogget and Touchstone and all the amazing things Garth Nix created to be real. I want my own set of bells. This is stuff that only fans of the books will understand, but there are fans out there! Thanks again Catherine for answering these questions and letting us to get to know you and your fandom better. Catherine Elhoffer founded a geek fashion company, Elhoffer Design, to create higher-end apparel for high quality geeks. The geek fashion world is saturated with clothing, but there are still gaps in the market that she hopes to fill by designing and sewing pieces that flatter the body, pull from modern and historical fashion trends, and help the geeks of the world to be both stylish and chic (and maybe to fit in amongst the muggles). She prefers a subtle geek nod in her designs, using silhouette, color, texture, and lines to tell the geek story. Catherine hand-makes everything in her Los Angeles home, taking custom orders for all fangirls, and sometimes pulling in other sewers to help her create even more pieces. Every now and then she can be lured into the menswear world as well, often with cookies.